If it’s your dream of owning a home that has never been lived in and reflects your tastes, you’re a candidate to build a custom modular home. Modern modular construction creates homes that are beautiful both inside and out. In this age of automation, there are a number of benefits to this efficient building method. Traditional home construction has remained basically unchanged for almost 200 years. Materials arrive at the home site and are individually cut and assembled outdoors in the elements by laborers, regardless of their experience and expertise. The process produces excessive waste, wrestles with maintaining schedules, and exposes materials to moisture creating a potential breeding ground for mold, mildew and termites. The process creates beautiful homes but has always struggled to produce homes that promote a healthy and safe living environment for families that present-day building methods provide. Site built homes can literally take months or even years to finish. Building Off-site ensures better construction quality management. Materials that are delivered to the construction facility are safely and securely stored in a protected warehouse to prevent damage or deterioration from moisture and the elements. With prefab homes, the construction process is carefully engineered to create a sequence of steps that is repeated precisely on every module. The assembly line method decreases the variability that occurs on a site-built project. The automated processes within a modular factory are dedicated to creating high quality homes with inspections at each station. This virtually eliminates on-the-fly decisions and drastically reduces unexpected complications that can regularly occur in the field for homes built with traditional construction. Construction productivity; how fast, how well, and at what cost a home can be constructed — directly impacts the price of a home. Modular homes can be provided because they take advantage of the modern modular building technique. Overall, the extra care in the off-site construction process will make your custom modular home stronger, to meet the demands of being transported from the factory to your home site, as well as exploiting advanced construction techniques to make it last longer than a traditional site built home. Many people associate custom homes with large or expensive homes. However, a true custom home can range from something as simple as a ranch-style home to a much more elaborate two-story floor plan designed to fit your lifestyle. A home should reflect the personalities of the people who live in it and should be specifically built for an individual customer. Colors, materials, fixtures as well as the floor plan are chosen specifically to create a home that is beautiful to the home buyer. A common opinion among some people is that a house has to be huge or expensive to be beautiful or amazing. This is far from being true. Some modern modular homes seek to emphasize functionality over frills, and they showcase energy efficiency and the ability to almost disappear in a wooded area rather than stand out. Still others focus on the interior rather than the exterior. For example, while the outside might still be the traditional design that fits right into the neighborhood, the inside may be a collection of open rooms that seamlessly flow one into the next. The path to your dream home depends on a variety of factors, particularly your budget and the level of customization you want. Our clients are active participants that can achieve a higher level of satisfaction when building their beautiful custom modular homes with the input and advice of our consultants. Diversity in architecture is a given. Home buyers can enjoy the idea of owning an unusual masterpiece which not only promotes a highly functional lifestyle but also one which is aesthetically pleasing to the eye. As an innovator in modular design, we work with our clients to create modern modular homes that cater to your lifestyle needs. We look forward to working with you to bring your beautiful modular home to life for clients to create modern modular homes that cater to your lifestyle needs. We look forward to working with you to bring your beautiful dream home to life. Energy efficiency and indoor air quality are becoming more important to many people. Especially as they learn about the pitfalls of traditional site built construction. These two subjects are playing a greater role in the decision process of our customers when they decide to use modular construction to build their new custom home. The objective of green building is to use resources more efficiently and wisely. 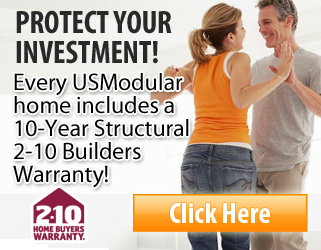 Modular construction promotes healthy and comfortable homes. By designing for energy, water, and resource efficiency, modular homes improve building performance with enhanced comfort and lower operating costs. Modular construction allows you to easily incorporate sustainability. You can specify the use of recycled materials, LED lighting, high-efficiency mechanical systems, and sustainably harvested wood just as you would with any building system. By promoting green building, modular homes can conserve limited resources, and protect our natural environment for the long-term health of our planet and future generations. Superior engineering and the latest construction technology significantly increases the energy efficiency of your new modular home. The process itself promotes energy efficient home construction. Your home is built from the inside out. With access to interior walls throughout the building process, typical air infiltration points are sealed better than with onsite construction. What this means to you is that the building envelope of your custom home is fabricated to be super energy efficient. This is a standard feature with modular construction. Increased insulation, high-tech sealants, and the use of advanced materials are just some of the reasons to decide on the advantages of modular building for your custom home. The cost of a house can be counted in dollars, but the construction and ongoing costs of operating a home takes a toll on the environment that can be hard to measure. A growing number of people are determined to minimize both the environmental impact and their financial expenditure by equipping their homes with sustainable technology. This is resulting in a boom in sustainable building that is driving higher levels of architectural and engineering innovation. Modular construction is the perfect building system to promote sustainable building. Several Green Building Programs literally award additional points for the use of modular construction because of the superior building process. Let USModular, Inc. help you accomplish your required level of “green”: from simple energy efficiency to net-zero and beyond. Take A 3D Tour of A Modular Design…See The Quality! Have a vision for your dream home? Have a question you need answered? 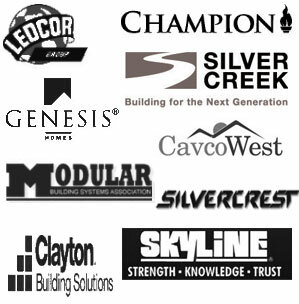 Need help evaluating modular construction?